CHARLOTTE AMALIE — The Virgin Islands Police Department (VIPD) would like to urge the community to be very conscious of their surroundings and whereabouts as there are natives targeting innocent working people in attempt to rob them of their personal possessions. On Saturday, January 7, 2016 at about 11:49 a.m. a citizen called the 911 Emergency Call Center and reported that as she was walking towards her vehicle she was robbed of her handbag. The victim stated that a black male walked up behind of her and began to tug on her bag. She further explained that she fell to the ground after a struggle ensued between them, allowing the male to pick up the bag and flee in an unknown direction. The victim reported that she sustained minor scratches during said robbery but declined medical treatment. Saturday, January 7, 2016 at roughly 11:52 am, officers traveled to the area of Lockhart Gardens in regards robbery reported in that location. Upon Arrival to the scene, contact was made with the victim who stated that as she left the Drug Farm Pharmacy, she began to head towards the parking lot west of the Guardian Insurance Office when she felt a tug on her bag. The victim continued by stating that as she clenched on to her bag, a struggle ensued between them that lead to the suspect to throwing her onto the ground. He then burst the strap of her bag and fled the area heading west towards Tenth Street. She concluded by stating she immediately called the 911 Emergency Call Center to report this incident. Further Investigation revealed that the victim sustained multiple abrasions as a result of the incident. Also on Saturday, January 7, 2017, at approximately 7:48 p.m., detectives responded to an Attempted Robbery in the area of the Bus Stop located on Veterans Drive, in the vicinity of Cemetery # 3. Upon arrival, contact was made with the victim who stated that while at the Bus Stop, waiting for a safari, she felt a pull on the right side of her backpack. She then turned around and observed three black young males that appeared to be teenagers behind of her with stockings covering their faces. The victim continued by stating that two out of the three males told her to give them everything she has, as they tried to pull her behind the Bus Stop. She further explained that she fired a kick at one of the males while one of the other males struck her to the left side of her head with a gun. She also explained that she then grabbed on to the male that struck her with the gun and one of the other males fired a shot towards the air. She then began screaming causing the three males to take off running eastward in the Cemetery towards the funeral home. The victim sustained injuries to the left forearm and tenderness to the left side of her head and was treated by the Emergency Medical Technicians who were present on the scene. Appear confident and look like you know where you’re going. Dress down. Don’t flaunt jewelry or designer labels that let a thief know you’re likely to have money or valuables close at hand. Listen to your instincts. If something feels strange, go inside a store, cross the street or seek help. Always keep purses closed and carry them close to the front of your body, or held tightly under your arm. If your purse is slung over your head, consider wearing it under your coat (this makes it harder for a thief to yank on the strap). Don’t keep your social security number in your wallet–it puts you at risk of identity theft. Carry only what’s necessary, and nothing more. It doesn’t matter how careful or cautious you are at times you can’t stop a robber. The first thing to remember is that your purse or wallet is not worth getting hurt over or losing your life. If someone tries to take your belongings, resist the urge to fight back. While some thieves will back down at the sign of confrontation, others are willing to fight and may be carrying a weapon. Don’t panic, try to think clearly. Make a list of everything in your purse or wallet, including credit cards, checks, ID cards, cash and other items. Call your bank and tell them your bank cards/checks have been stolen. If your driver’s license was stolen, contact your local Driver’s License Bureau to get a new one. If your social security card was stolen, contact your local Social Security office to get a new one (the number won’t be changed unless fraudulent activity is found). Monitor your bills for unusual activity, and report anything strange to the police. These cases are currently under active investigation by the Criminal Investigation Bureau. Any persons having information regarding these incidents are asked to contact the Investigation Bureau at (340) 774-2211 ext. 5579 and 5557. They can also contact 911, Crime Stoppers V.I., the Chief’s office at (340) 715-5548 or the Commissioner’s office at (340) 715-5506. I will give you a better tip. Move off the island. Money is tight, no resources , but Governor Mapp has two brand new Suburbans courtesy from the police budget……. 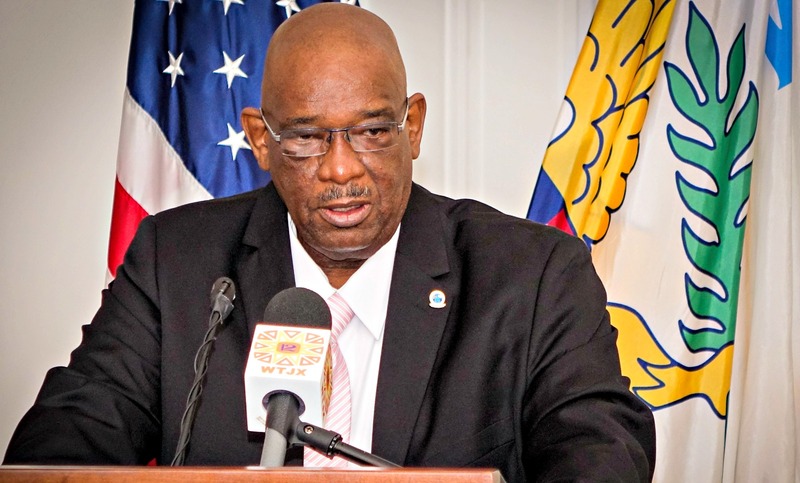 Now, Virgin Islanders are on their own, left to face the criminals due to a withdrawal of funds…….